This is definitely a sad and tricky situation and one that we should use extreme care when discussing. One thing I will say is that no matter what one’s choice about vaccinating is, parents believe they are making the choice in the best interest of their child. Of course, I have strong opinions about how important it is, but this discussion is not for the faint of heart. There are probably some doctors that would tell you it’s no big deal and you shouldn’t worry about it (I would disagree with them). There are other doctors that would say you should never have your child around children who are unvaccinated regardless of your child’s health (I recognize this is not reasonable in many situations). How old is the child? The younger the child, the more vulnerable they will be to infection. They cannot receive protection for chicken pox or measles before 1 year. Older children who are fully vaccinated have a significant amount of protection and they likely encounter an unvaccinated child at school every day. Who isn’t vaccinated? This question is about family members which makes transmission of infectious diseases more likely than if you just walked by someone on the street and were not interacting with for longer periods of time. Can you have an open conversation with those involved? The discussion is clearly more complicated than simple medical advice as it broaches on several tricky areas including family dynamics and vaccination. The easy (get out of having to make a committed answer) is that there is no one answer to the question. The family should talk with their doctor about their specific concerns and make a decision with their counsel. Should I stop the blog post there? Not so fast. Instead, I want to give you a framework for having that discussion with your doctor. What diseases should I be worried about? Flu season is predictable in that it comes every single year at roughly the same time. It is unpredictable in that we never know how widespread it will be and how severe the cases will be when it does come around. Flu is particularly dangerous in babies and they cannot be vaccinated until they are 6 months old. Remember that the flu vaccine isn’t perfect, so I’m not saying that everything’s cool if we all have flu vaccines but it would seem logical to get as much protection surrounding the baby as possible. Pertussis, or whooping cough, is still common and is a very serious disease for anyone who gets it. In children, teenagers and adults it tends to cause a very rough and painful cough that lasts for weeks to months. I know of adults who have had broken ribs because the coughing is so hard. The real danger for pertussis comes in small babies (less than 3-4 months). These babies commonly have spells of coughing that cause them to stop breathing; leading to ICU stays for intubation and unfortunately, death. Babies are vaccinated against pertussis at 2, 4 and 6 months which increases the number of children who are protected with each shot but they go on to get another vaccine at 4 and 11 years as well. So, when are they fully protected? It’s impossible to say. In addition, vaccines are not perfect so even vaccinated infants who are exposed could develop pertussis. Pertussis still occurs commonly in the United States and is generally carried by older children and adults who are coughing but do not know that they have pertussis. Just like flu, having the vaccine does not prevent disease 100% and I still feel that we need to do something better with the pertussis vaccine but again, it would seem logical to increase protection as much as possible. Measles is another disease that still occurs in the United States. In 2014, there was a record number of 667 confirmed measles cases reported to the Center for Disease Control and Prevention’s National Center for Immunization and Respiratory Diseases (NCIRD). That’s the highest number of cases since measles elimination was documented in the U.S. in 2000. Measles can cause pneumonia and have a higher risk of hospitalization in children under 5. Children receive their first measles vaccine at 1 year of age, but they have no protection from measles until then. What criteria should I use for being around others? If your baby is under 6 months, use extreme caution. Many babies do not have full protection until after the 6 months shots. In addition, they cannot receive a flu vaccine until 6 months. If your baby is under 1 year, I would also use caution. Your baby cannot be vaccinated against measles or chicken pox until 1 year. After your child is vaccinated at 4 years, they have much of the protection that they need to protect themselves against the vaccine preventable diseases. Babies or children who may not have a normal immune system-such as those with chronic illness or who were born premature deserve extra caution. Anyone with symptoms of illness, especially fever, cough, congestion or rash, should not be around your baby or child regardless of your contacts’ vaccination status. Can you get a definitive answer about when your baby can be around unvaccinated children? No, but you at least have some information to make an informed decision. After you’ve discussed your plan with your pediatrician how do you handle the conversation with friends and family? Our baby/child doesn’t have protection against many very dangerous diseases and we do not feel comfortable having her around people who could spread them to her. 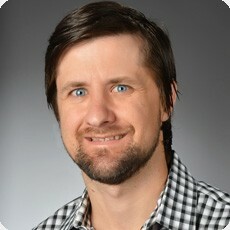 Justin Smith is a pediatrician and the Medical Advisor for Digital Health for Cook Children's in Ft. Worth, Texas. He has an active community on both Facebook and Twitter as @TheDocSmitty and writes weekly for Cook Children's checkupnewsroom.com. His interest in communications started when he realized that his parents were relying more on the internet for medical information. He believes that strategic use of social media and technology by pediatricians to connect with families can deepen their relationship and provide a new level of convenience for both of their busy lifestyles. Dr. Smith’s innovative pediatric clinic, a pediatric clinic “designed by you,” is set to open in Trophy Club in the spring of 2017. If 11 out of 16 that got measles were unvaccinated then that means 5 were. Just because someone is vaccinated doesn't make them safe to be around. There is so much that isn't told the general public about vaccination. That's an important point. Children can contract and transmit measles or any other infectious disease even if they are vaccinated. Because our vaccination rates are high in Tarrant County, the fact that 11 of the 16 were un-vaccinated is a very high number. We are never completely safe from anything but I believe our parents should be informed about the risks so that they can make their own decision. What should be considered are the rates of infection for vaccinated and unvaccinated. Suppose we have a group of 1000 people in the US. About 910 of them will have had vaccinations, and 90 will not. So 5 out of 910 is 0.55%, while 11 out of 90 is 12.22%. The unvaccinated, regardless of whether this was 1000 or 1,000,000 people, are more than 20 times more likely to get measles in this case. Daughter A has 2 kids who are not vaccinated. Daughter B will be vaccinating her daughter. An anti-vax friend of mine told me that the un/vaccinated kids can't be around the newly vaccinated infant for 6 weeks after she is vaccinated because they ( the un-vaccinated) could contract the disease the infant has been vaccinated for. Is this true? Thank you for your time.